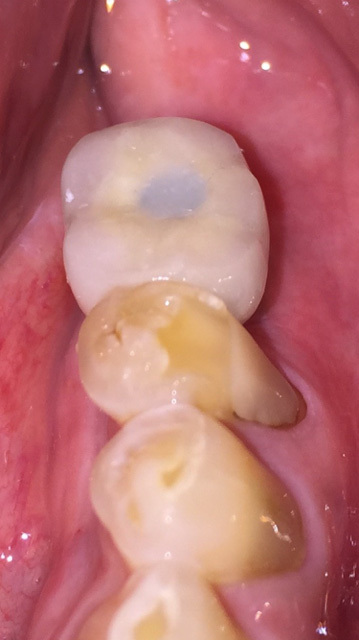 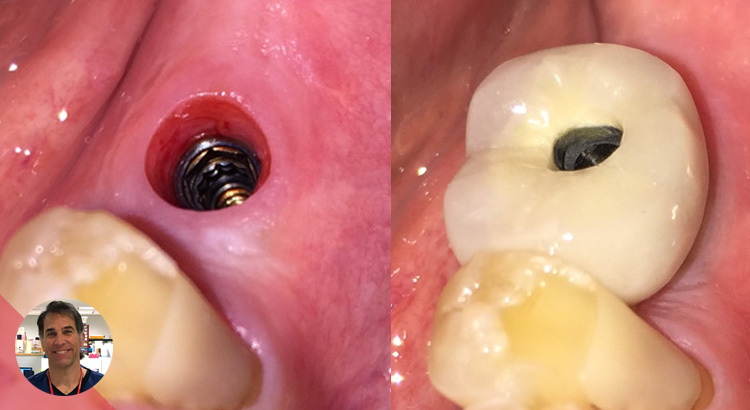 Custom abutment and crown placed with gold screw tightened to finger pressure. 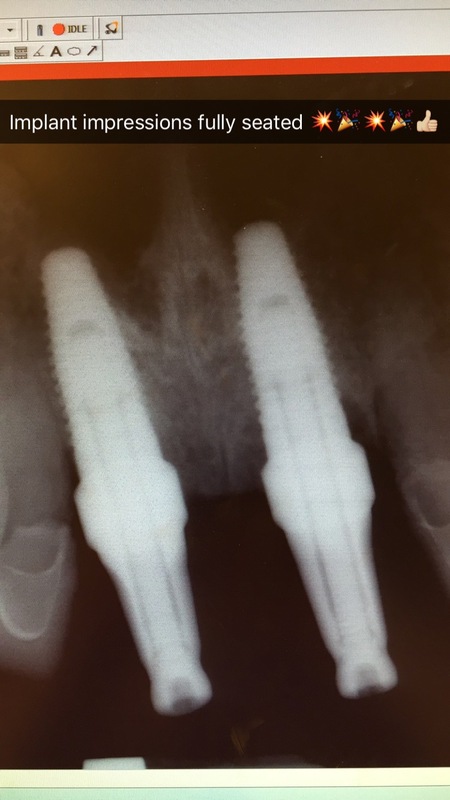 Upper radiograph shows improper interface-note the gap present at the interface. 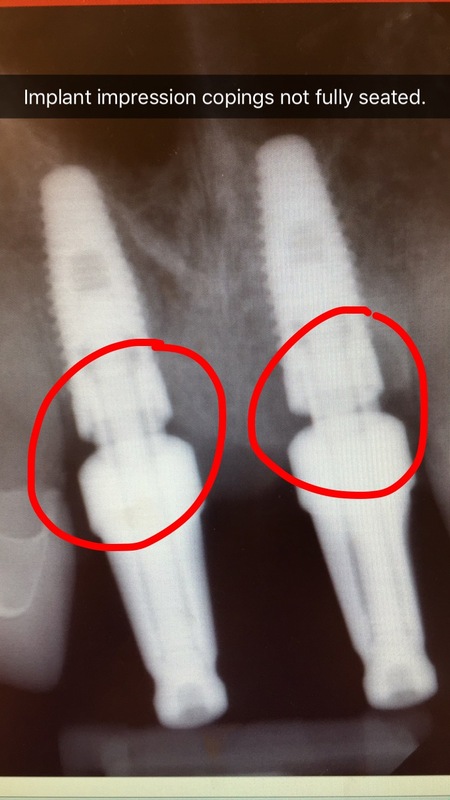 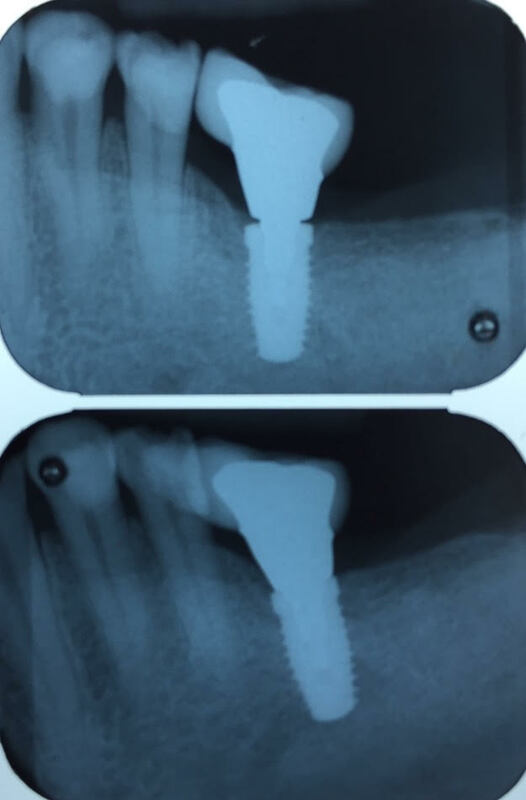 Lower radiograph shows perfect fit, taken after adjusting the contact and repositioning the crown/abutment on the implant. 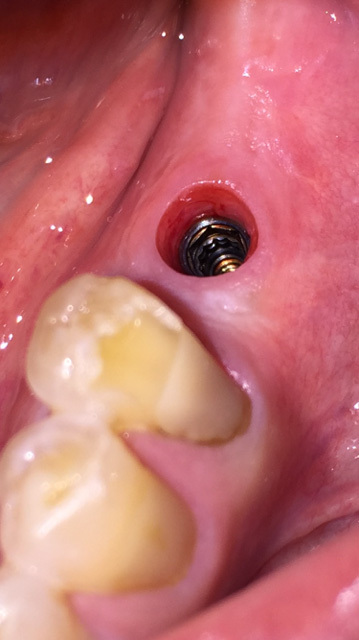 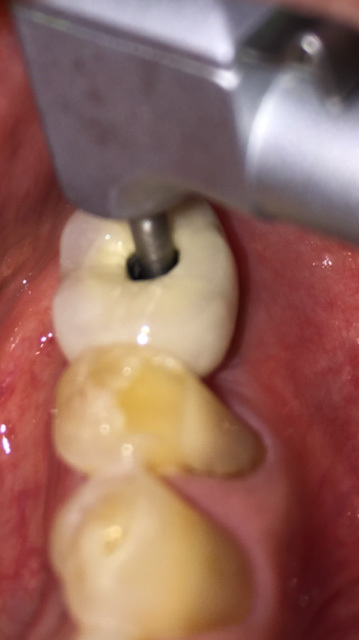 Gold screw used to attach crown and abutment to implant. 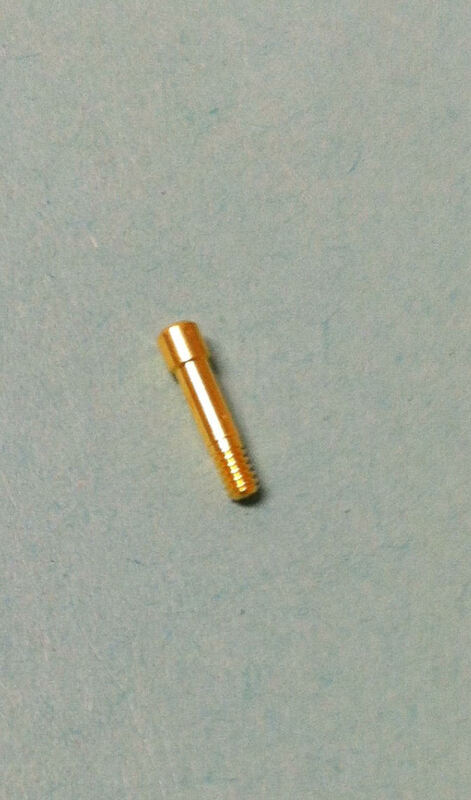 Now the gold screw can be tightened to 20 Newtons per centimeter squared with the torque wrench. 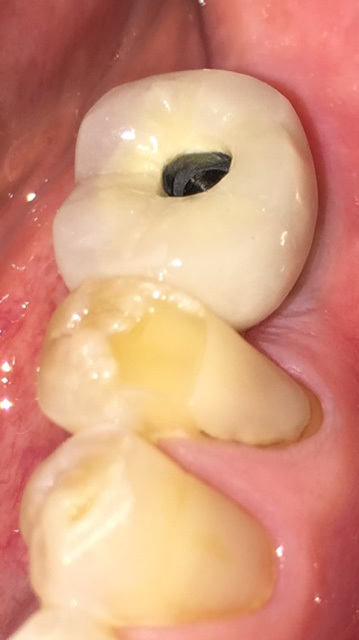 Screw hole filled in with composite filling material.